Every business wants to grow their customer base. It’s how you make money, plain and simple. But how you go about it can be the difference between going bankrupt and dominating your market. Having a great sales team in place helps. 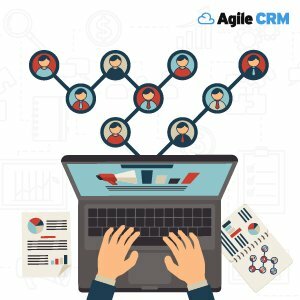 Using marketing automation (MA) to run multichannel marketing campaigns as part of your lead generation efforts helps. However, not all leads are cut from the same cloth. You can generate leads all day, but lead quality is a highly important factor in your ability to convert them to customers. The more qualified your leads are, the more efficient and effective your sales team will be at conversion. The best way to ensure your leads are highly qualified when you pass them to sales is by establishing a lead scoring mechanism. But what is lead scoring and how can you use it to improve the quality of your leads? Here we cover those topics to help you maintain better lead quality and faster conversion rates. Lead scoring ranks prospective customers’ sales-readiness by using a point system that indicates the value that person (or sales target) represents to the organization. You award points to leads for actions they take like opening or clicking emails, visiting your website, etc. You also award points for demographic data such as their job title. Scores accumulate over time. You set a scoring threshold at which a lead is considered to be a “marketing qualified” (i.e., hot) lead. When they cross the threshold, they are passed over to sales for immediate follow up. This helps sales prioritize their outreach to the most sales-ready leads. Now that we’ve established what lead scoring is and why it is important, let’s jump into the lead scoring best practices that will help you master the tactic. Your MA system does all the tracking and scoring of lead behaviors. 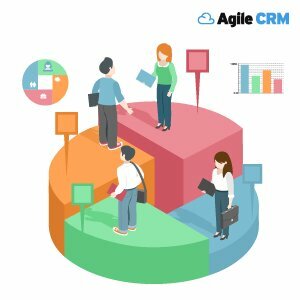 However, you also want to score leads based on demographic data, and much of that lives in your company’s customer relationship management (CRM) solution. 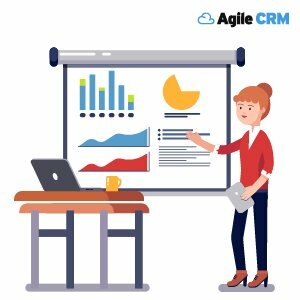 To create a truly effective lead scoring mechanism, you need these two systems to be tightly integrated so they can share information in real time. If you use two different systems, be sure they are integrated and data is flowing back and forth seamlessly. 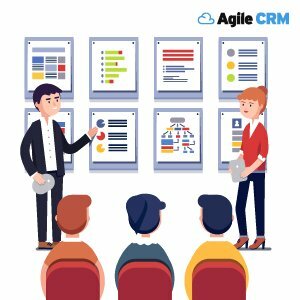 If you use an all-in-one solution—such as Agile CRM—that provides CRM and MA capabilities on the same platform, the integration is already built in. 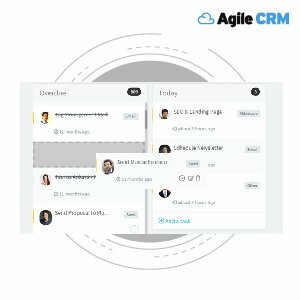 If you have neither an MA or a CRM, now is the time to invest. 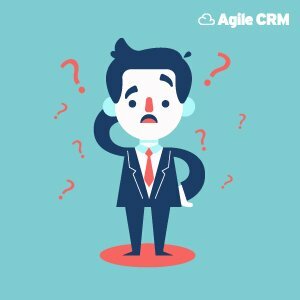 Having a CRM is par for the course these days—particularly with free options available. And if you’re still on the fence about needing an MA solution, check out these stats. Scoring on demographic data helps you hone in on the leads that are, in theory, a good fit for your product or service. Using the example above—job title—we could say that a someone with the job title of receptionist should receive a lower score for that scoring category than someone who is listed as the CEO. 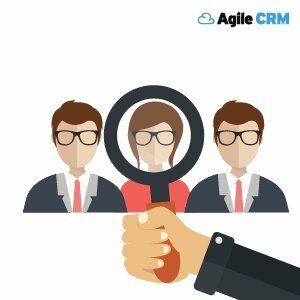 The CEO, being the decision maker, has better potential as a convertible lead than the receptionist, and so deserves a higher score for that piece of demographic data. 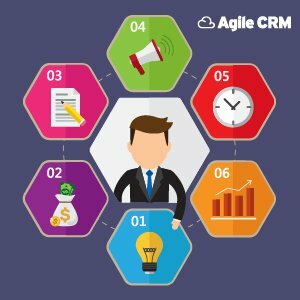 Your scoring model can be set up to automatically award points to leads when those or other fields are populated in the CRM. That information gets automatically synced over to your MA solution, and the lead is scored accordingly. Behavioral scoring involves scoring leads when they take actions that indicate an interest in your product or service. For example, if someone visits a product page, that means they are in some way interested in your product. A score should be awarded for that action, although how much of a score depends on your scoring model (more on that below). Behavioral scoring will make up the majority of a lead’s score. They can only be scored once for being the CEO. But they can be scored each time they download content, meaning more points will likely be awarded for behaviors than for demographics. Your sales team is closer to your leads than you are. They are in conversations with them all day long. They likely understand leads’ pain points and needs better than anyone in your company. Their insight into lead interests, tendencies, etc. will be invaluable when developing your lead scoring model. Ask them how many points each action and piece of demographic data should be worth. Get their input on which job titles should be worth the most and which ones matter little. Should attending a webinar be worth more than downloading a white paper, in their mind? 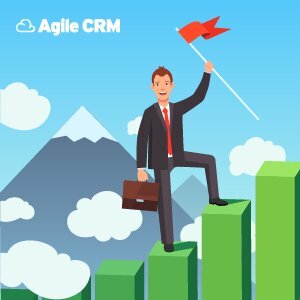 Getting buy-in from sales not only helps finely tune your scoring system, but also tightness alignment between the two teams. You can’t award blanket scores for all actions of the same nature. For example, if you award points for email opens, consider what the email is about. Is it a notification that the office will be closed for the holidays? Or is it announcing a brand-new eBook designed to solve an important problem for your leads? The first doesn’t warrant a score, while the latter certainly does. Apply this to various actions. Visiting a product page should be worth more than visiting the home page. You’ll need to put your thinking cap on and define categories of behaviors, then sub-categories of those to finely tune your scoring process. Once it’s all defined, you can configure your MA system to do all the work in the background. But you need to have firm categorization in place beforehand. The logic behind lead scoring is to identify when a lead becomes sales-ready so they can be passed over to sales. This lets sales reach out to the lead when they are engaged and “hot.” This is done by defining a score threshold at which contacts are considered marketing qualified leads (MQLs). For example, if you have a qualification threshold of 100, you are saying that once a lead generates 100 points, they are ready to be contacted by sales (i.e., marketing qualified). You’ll need to confer with sales on this too. Define a few lead scoring example scenarios of what it might take to reach qualification. It might be that a CEO who has downloaded three high-value content pieces is considered qualified. Or a manager who has downloaded five pieces of high-value content is qualified. Run through a few sample scenarios to determine a logical point of qualification, and then revisit it on a routine basis to ensure that it’s accurate (more on that below). Leads may take certain actions that are such a strong indication of their propensity to buy, that you automatically award them the number of points it takes to reach the MQL threshold. 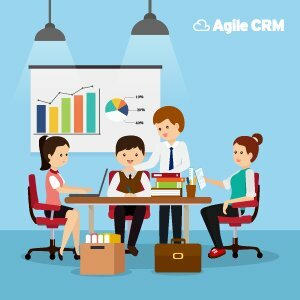 Requesting a product demo is a good example. 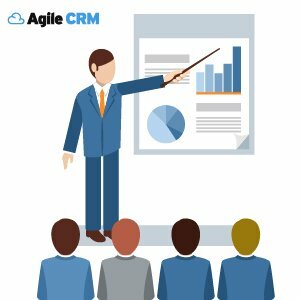 When someone requests a demo, it’s time for sales to get involved. If you’re scoring threshold is 100, you should award 100 points for a demo request, automatically qualifying that lead and pushing them to sales for outreach. Other examples of actions that fall into this category could be activating a free trial or requesting a pricing quote. Some leads that enter your database will never convert into customers, plain and simple. For example, imagine someone completes one of your content download forms and lists their occupation as “student.” You can rest assured that they are probably doing academic research, not looking to buy your product. You can use your marketing automation and lead scoring tools to automatically disqualify leads like this. Doing so ensured you don’t waste time marketing to them. The importance of disqualifying leads shouldn’t be underestimated. We have covered detracting scores for actions that indicate disinterest and disqualifying dead-end leads. Another method to help identify leads that are moving away from qualification is score decay. The idea is simple, the longer a lead goes without interacting with you, they start to bleed points. You may decide that if a lead hasn’t opened an email or visited your website in three months, you subtract ten points from their score. Then five more points for every subsequent month they go without responding or engaging with you. Your sales team simply doesn’t have the time to reach out to someone who is clearly not interested. Score decay—along with negative scores and automatic disqualification—ensures they spend their time reaching out to only the most sales-ready leads. 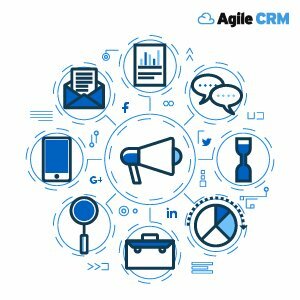 You can ensure rapid outreach when a lead becomes marketing qualified with automatic task notifications in your CRM. You can set this up as part of the automated workflow for lead scoring. Simply add a step that sends that notification to the sales rep the moment someone becomes an MQL. You can also customize the task to include all the touchpoints that led that lead to being qualified. 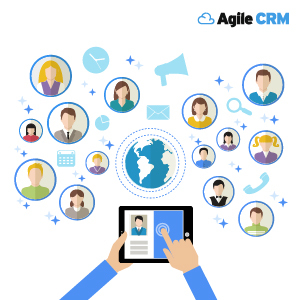 Plus, a solid CRM will give reps an intuitive 360-degree contact view of all interactions that lead has had with the company. Once your lead scoring machine is up and running, you will want to revisit it on a regular basis to ensure that you’re not qualifying leads too soon or too late. If you are qualifying loads of leads but sales is not converting many of them, odds are you are qualifying them too soon. You can use MQL to conversion rates to gauge this. Bring your sales team to the table to discuss this once a quarter at a minimum. They will be able to give you valuable feedback on how the lead scoring mechanism is working, and where there is room for improvement (i.e., reassigning scores, changing the qualification threshold, etc.). Once you qualify a lead and send them to sales, your rep starts a conversation with them. At that point, they are considered a sales accepted lead (SAL). This means that sales has accepted them as a valid lead and is now working them. If the conversation goes well, your sales rep will open an opportunity or deal with that lead, which means they have been marked as a sales qualified lead (SQL). Measuring the percentage of MQLs that turn into SQLs gives you an idea of the quality of leads you are passing to sales. If sales is only qualifying one out of every 20 MQLs you pass them, that indicates that you are probably qualifying them too soon. Use this metric to help analyze results each time you revisit the scoring mechanism with sales. According to MarketingSherpa, 61% of B2B marketers send all leads directly to sales; however, only 27% of those leads will be qualified. Sounds like a lot of wasted time and effort. By taking the proper steps and following the best practices above, you can create a lead scoring machine that empowers you to hone in on the most qualified leads. The quality of leads you pass sales will go up. This should lead to faster conversion times and a better conversion rate. All of this leads to more revenue generated and business growth. 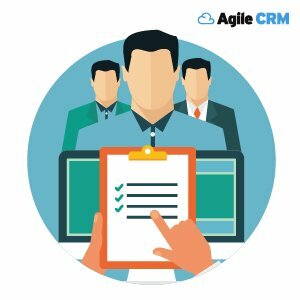 Do you have a lead scoring anecdote or best practice that works wonders for your lead qualification efforts? Share it with us in the comments section below. Insightful information.. this article narrated with the great features and this must be useful. Thanks so much for the encouraging comment. We appreciate your feedback!